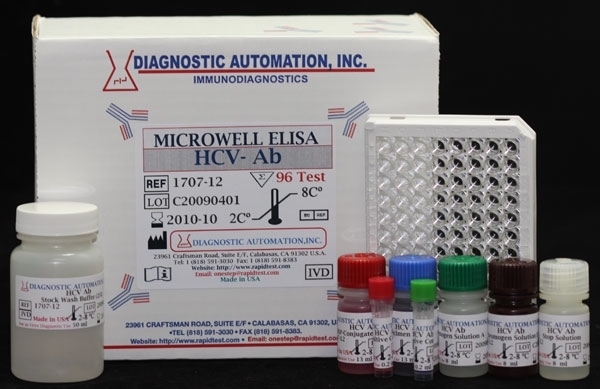 Los Angeles based Diagnostic Automation/Cortez Diagnostics, Inc., offers a top quality HCV ELISA Kit that can immediately detect any hepatitis C infection. This HCV ELISA Kit is used for screening blood donors and diagnosing patients infected with the hepatitis C virus. Our company is committed to offering the best quality HCV ELISA Kit to our international customers. * This convenient and easy-to-use HCV ELISA Kit is for in vitro diagnostic use only. How do doctors find hepatitis C antibodies in the blood? To determine if hepatitis C antibodies are in the blood, doctors use a screening test called ELISA, which stands for Enzyme-Linked Immunosorbent Assay. There are many different ELISA tests, so doctors must use one specifically for hepatitis C. This is where the HCV ELISA Kit comes in. The HCV ELISA Kit will search the blood sample for the hepatitis C antibody. 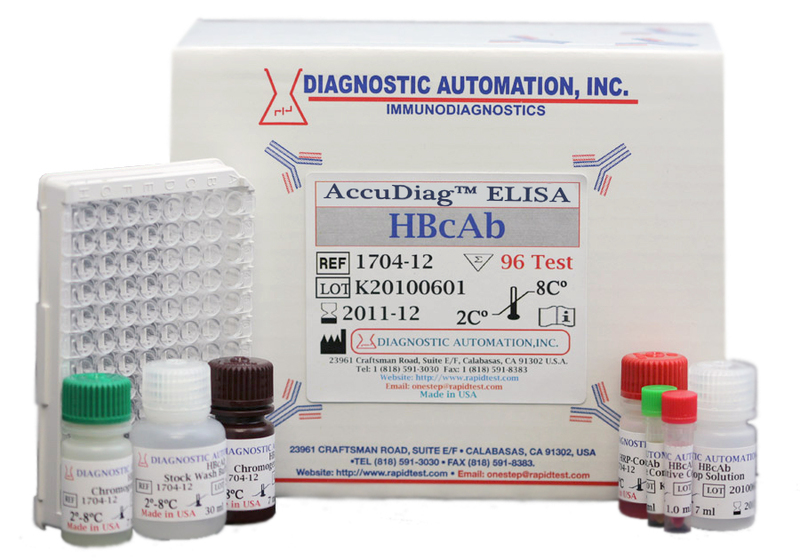 This HCV ELISA Kit is very sensitive and picks up approximately 95% of people infected with hepatitis C antibodies. If the HCV ELISA Kit test finds any hepatitis C antibodies, that means an HCV infection is present. The HCV ELISA Kit is tempered by its sensitivity. For example, if the HCV ELISA Kit tests negative, patients are most likely free of hepatitis C infection. However, if the HCV ELISA Kit test is positive, there is a small possibility that the result could be incorrect, resulting in a “false-positive.” False-positives on this HCV ELISA Kit usually indicate more testing is required. Since the introduction in 1990 of anti-HCV screening of blood donations, like this HCV ELLISA Kit, the incidence of this infection in transfusion recipients has been significantly reduced. The first generation of HCV ELISA Kit tests showed limited sensitivity and specificity and was produced using recombinant proteins complementary to the NS4 (c100-3) region of the HCV genome as antigens. Second generation HCV ELISA Kit tests, which included recombinant / synthetic antigens from the Core (c22) and nonstructural regions NS3 (c33c, c100-3) and NS4 (c100-3, c200), resulted in a remarked improvement in sensitivity and specificity. Clinical studies show that a significant amount of HCV infected individuals develop antibodies to NS5 non-structural protein of the virus. For this, the third generation HCV ELISA Kit tests include antigens from the NS5 region of the viral genome in addition to NS3 (c200), NS4 (c200) and the Core (c22). Third generation HCV ELISA KIT tests have improved sensitivity and shorten the time between infection with HCV and the appearance of detectable antibodies (window period) to 60 days. This HCV ELISA Kit is available in two unique formats. One easy-to-use HCV ELISA Kit, also known as HCV ab ELISA Kit, is an enzyme-linked immunosorbent assay for qualitative detection of IgG antibodies to hepatitis C virus in human serum or plasma. This particular HCV ELISA Kit is intended for screening blood donors and diagnosing patients related to infection with hepatitis C virus. This particular HCV ELISA Kit employes solid phase, indirect ELISA assay for detection of antibodies to HCV in a two-step incubation procedure. This HCV ELISA Kit is intended for in vitro use only. This HCV ELISA kit is intended ONLY for testing of individual serum or plasma samples. Do not use it for testing of cadaver samples, saliva, urine or other body fluids, or pooled (mixed) blood. The other HCV ELISA Kit, also known as HCV IgM EIA kit, is an enzyme-linked immunosorbent assay for qualitative detection of IgM-class antibodies to hepatitis C virus in human serum or plasma. This HCV ELISA Kit is intended for clinical diagnosis, management and follow-up of patients related to infection with hepatitis C virus. The HCV ELISA Kit is a two-step incubation, indirect principle procedure. This HCV ELISA Kit for IgM-class antibodies is intended for in vitro use only. *not available in Europe and U.S.
Customers who use the HCV ELISA KIT and HCV Rapid Test also inquire about our Hepatitis B ELISA Test Kit and Hepatitis B Rapid Test that detect the Hepatitis B virus in human serum or plasma. These widely-used Hepatitis ELISA Test Kits and Hepatitis Rapid Tests are the most convenient and inexpensive Hepatitis ELISA Test Kits and Hepatitis Rapid Tests on the market today. For more information about the various Hepatitis ELISA Test Kits or Hepatitis Rapid Test Kits, please contact our Customer Service department. Please contact our Customer Service Department for information about this unique HCV ELISA Kit, or ELISA Test Kits, CLIA Kits, IFA Kits, or any other drug testing products of interest. 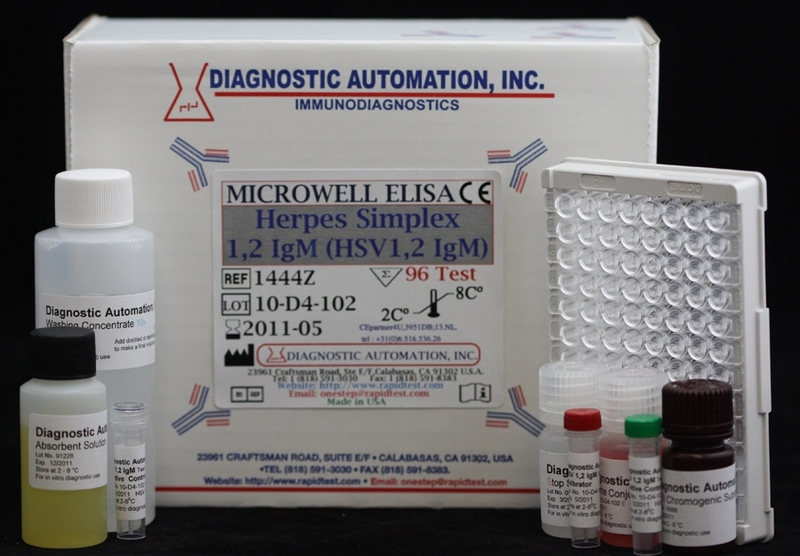 Diagnostic Automation/Cortez Diagnostics, Inc. offers top quality H. pylori Antibody ELISA Kits which are enzyme immunoassays for the in-vitro diagnostic qualitative and quantitative determination of lgA, lgG, or lgM antibodies against Helicobacter pylori in human serum. These H.pylori Antibody ELISA Kits are solid phase enzyme-linked immunosorbent assays (ELISA) based on the sandwich principle. These popular and easy-to-use H. pylori Antibody ELISA Kits are available in three distinct products: H.pylori lgA Antibody ELISA Kit, H.pylori lgG Antibody ELISA Kit, and H. pylori lgM Antibody ELISA Kit. These top quality H.pylori Antibody ELISA Kits accurately determine specific antibodies that may be present in the system. Studies have indicated that the presence of H. pylori on the H.pylori Antibody ELISA Kit test is associated with a variety of gastrointestinal diseases including gastritis, duodenal and gastric ulcer, non-ulcer dyspepsia, gastric adenocarcinoma and lymphoma. The organism is present in 95-98% of patients with duodenal ulcer and 60-90% of patients with gastric ulcers. Prevalence of H.pylori infection is high worldwide. Several methods, both invasive and non-invasive, are available for detection of H. pylori infection. Invasive methods involve endoscopy and examination of gastric biopsies, e.g. by culture, rapid urease test or histology, and are generally not appropriate for large-scale population studies. 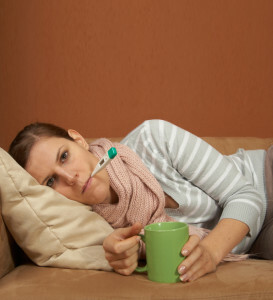 Non-invasive methods include the urea breath test, serology, and a stool antigen test (see our H.pylori Antibody Rapid Test or H. pylori Antigen Rapid Test). Popular in several countries worldwide are the enzyme-linked immunosorbent assays (ELISA) for the quantitative detection in serum of lgA, lgG, and lgM antibodies to H. pylori infections. The use of serological testing, specifically these H.pylori Antibody ELISA kits that ascertain the immunologically produced antibody caused by H. pylori infection, have been the method of choice by many countries around the world for screening, diagnosis, and treatment of the H.pylori infection. With the recognition of H.pylori as an important human pathogen, a serology test, such as our H.pylori Antibody ELISA Kit, is the most frequently used testing format worldwide to treat H.pylori infections. Furthermore, these H.pylori Antibody ELISA kits may be more appropriate for use on pediatric patients, where techniques such as stool sample are undesirable and endoscopy and biopsy are invasive. Additionally, the H.pylori Antibody ELISA Kit may be used for follow-up purposes of treatment. 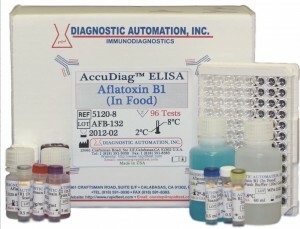 Diagnostic Automation/Cortez Diagnostics, Inc.’s H. pylori Antibody ELISA Kit is most often the technique of choice for serologic tests because of its accuracy and simplicity. The H.pylori Antibody ELISA Kit uses an antigen preparation that has been partially purified to yield principally high molecular weight H.pylori membrane proteins. Any specific H.pylori antibody, lgA, lgG, or lgM antigen, is coated on the surface of micro wells. Diluted patient serum is added to wells, and the H.pylori lgA, lgG, or lgM specific antibody, if present, binds to the antigen. All unbound materials are washed away. After adding enzyme conjugate, it binds to the antibody-antigen complex. Excess enzyme conjugate is washed off and TMB Chromogenic substrate is added. The enzyme conjugate catalytic reaction is stopped at a specific time. The intensity of the color generated is proportional to the amount of H.pylori lgA, lgG, or lgM specific antibody in the sample. The results of the H.pylori Antibody ELISA KIt test are read by a micro well reader compared in a parallel manner with calibrator and controls. The H.pylori Antibody ELISA Kit allows for a sensitive and specific interpretation and detection of H.pylori in the system. Customers who use the H. pylori Antibody ELISA Kit also inquire about our H. pylori Antibody Rapid Test, the H.pylori Antigen ELISA Kit, and the H.pylori Antigen Rapid Test. These widely-used H.pylori Antigen Rapid Tests, H. pylori Antigen ELISA Kits, H. pylori Antibody Rapid Tests, and the H.pylori Antibody ELISA Kits are some of the most convenient and inexpensive H. pylori Rapid Tests and H.pylori ELISA Kits on the market today. Any combination of H. pylori Antibody ELISA Kits (H. pylori lgA Antibody ELISA Kit, H. pylori lgG Antibody ELISA Kit, and H. pylori lgM ELISA Kit) can be shipped easily and inexpensively anywhere around the world. These temperature cooled packages are under 100% warranty upon arrival. For more information about the various H. pylori Antigen Rapid Tests, H.pylori Antigen ELISA Kits, H. pylori Antibody Rapid Tests, or the H. pylori Antibody ELISA Kits, please contact our Customer Service department.